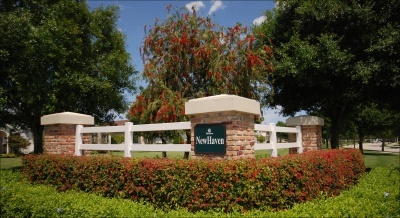 Located in Jupiter, Newhaven is a Victorian-style community comprised of 505 homes and townhomes. DiVosta-built single family homes range in size from 1300 to 3500 square feet, while townhomes range in size from 1400 to 1800 square feet. Residents enjoy hanging oaks and other lush landscaping, as well as a community clubhouse, swimming pool, and playground. There is also a lot of green space, perfect for children to run around and play. Newhaven is within an A-rated school district, zoned to Lighthouse Elementary, Beacon Cove Intermediate, Independence Middle, and Jupiter High.